We’ve got so many amazing new releases to share with you it seems we hardly have enough time to celebrate each one! But today we’re so excited to share another new product line with you. 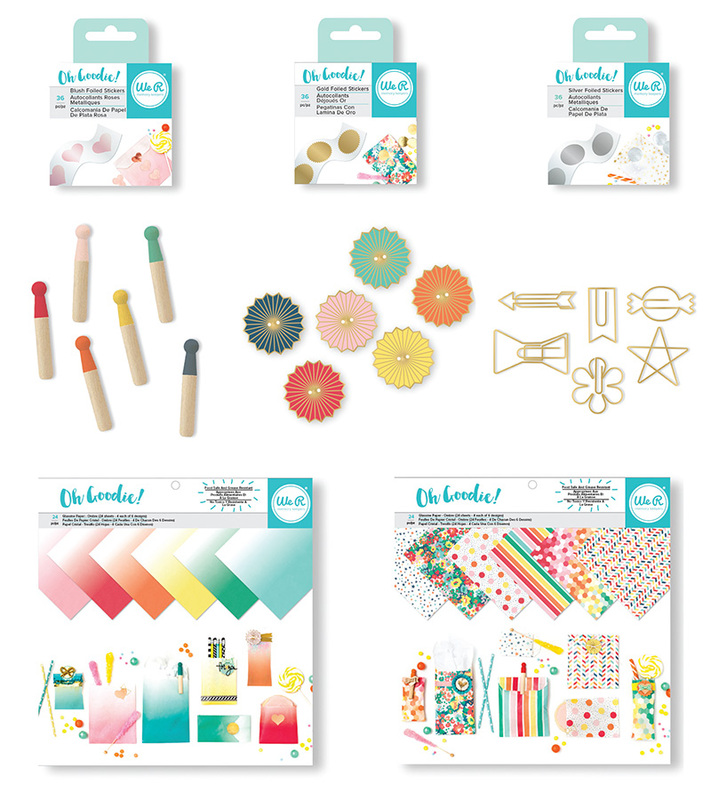 Say hello to the Goodie Bag Guide and the Oh Goodie Collection! Use the Goodie Bag Guide to measure, tear and fold goodie bags in all shapes and sizes. The pinked tearing edge gives the bags a lovely decorative finish. Everything you need is right on the tool! The Goodie Bag Guide works perfectly with the food-safe and grease-resistant Oh Goodie glassine papers that come in an ombre pack and a patterned pack. Seal and embellish your custom goodie bags with Vintage Clothespins, Tags, Shaped Paper Clips, and Foil Stickers. 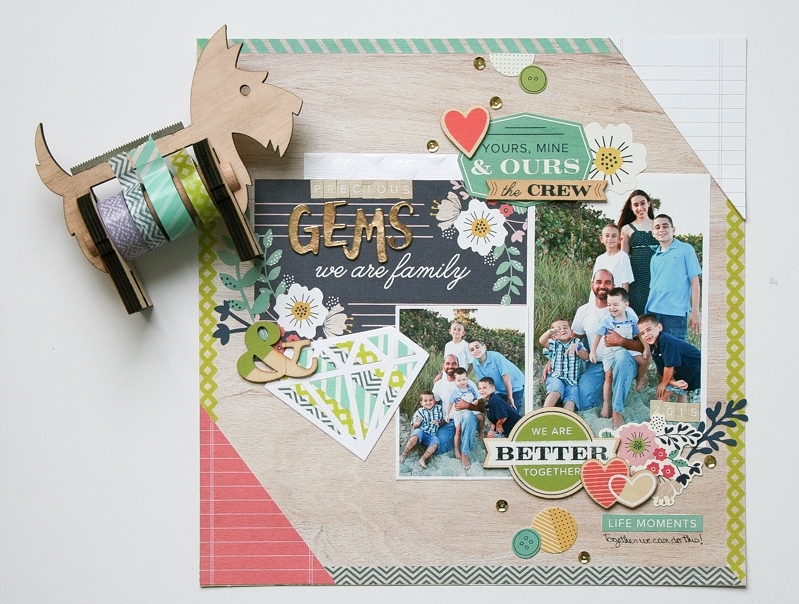 This week on the blog we’ll be sharing more details and fabulous project inspiration using this new tool and collection, so stay tuned. New Releases To Watch For! Happy Friday We R friends! Just wanted to remind you about some upcoming releases to keep your eyes out for in stores and online in the coming weeks. 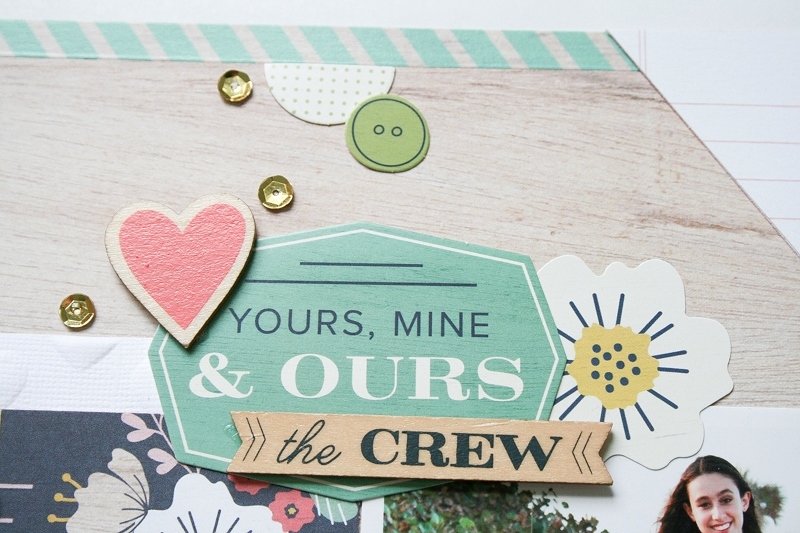 We’ve got some amazing new products to help you celebrate and document your special occasions. 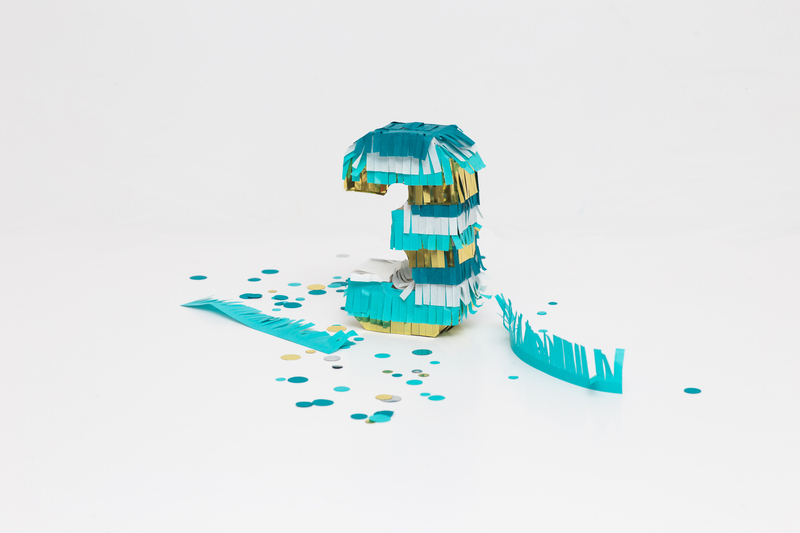 We’re adding numbers 0-9 to our DIY Party Mini Piñata collection. Decorate them with fringe tape in the color of your choice to personalize your party decor. 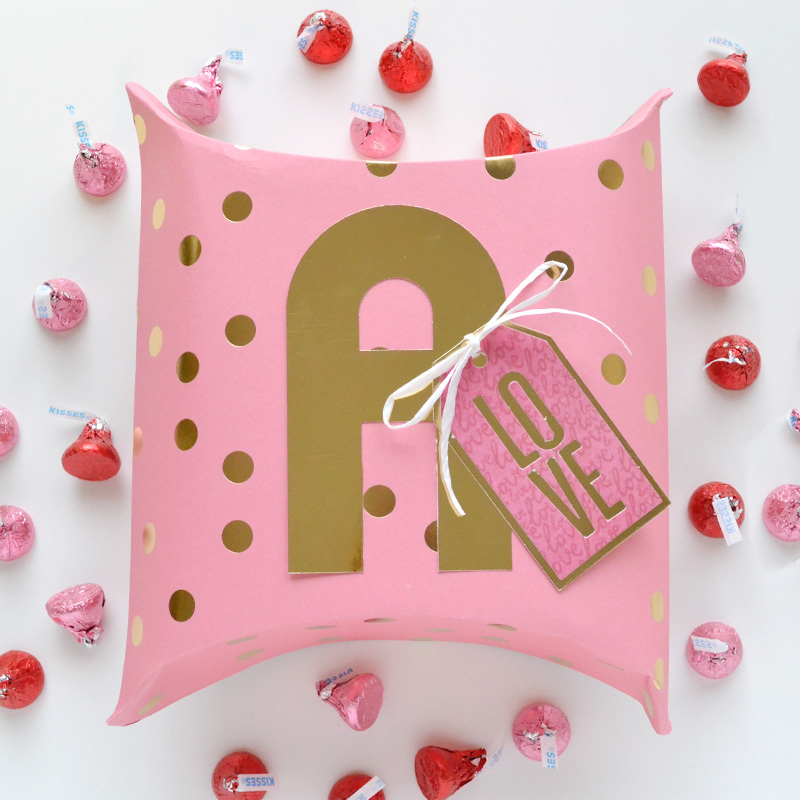 Your birthday boy or girl will love seeing their own birthday number decorated and filled with toys and treats. 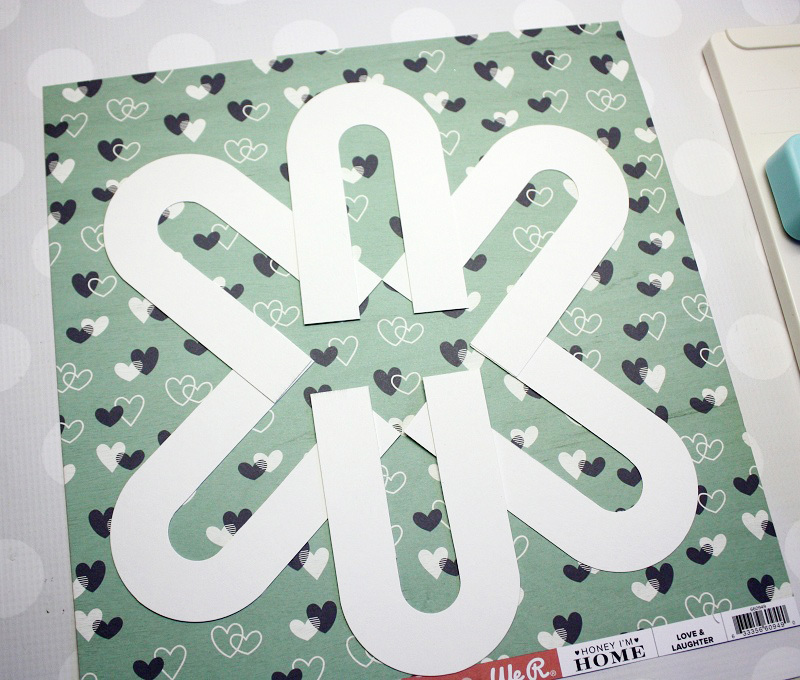 Combine the Template Studio Starter Kit with the new Bow Guide to create large scale bows for gift wrap and decor, perfect for any occasion. Use standard poster board with the Template Studio, or you’ll love our gorgeous new Designer Poster Board in several different colors and patterns, including added gold foil accents. 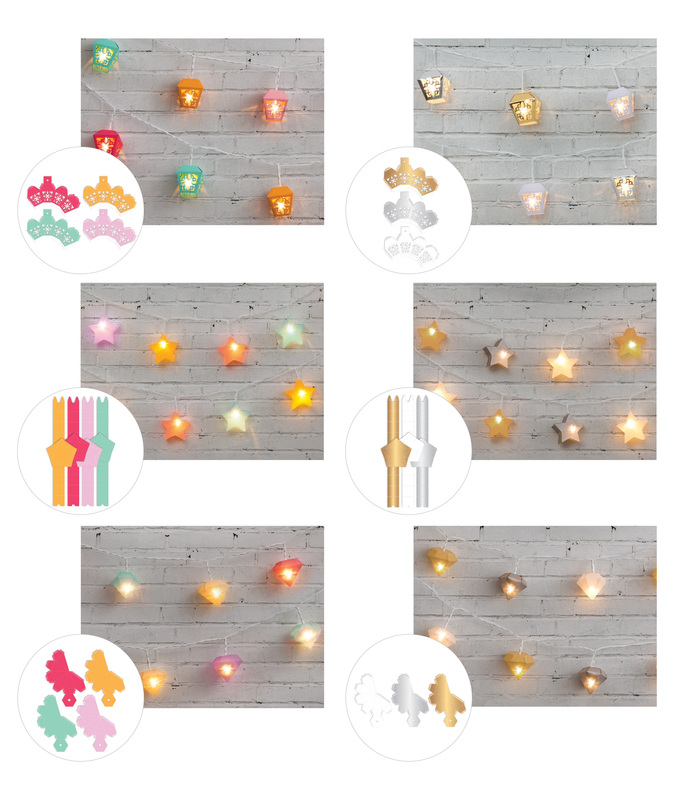 Light up your celebration with gorgeous battery-operated light strands that come with Mint, Raspberry, Silver, and Gold Glitter Bulb Caps. Dress up your light strands with beautiful paper bulb covers. Choose from flowers, butterflies, lanterns, stars or diamonds in fun brights or glamorous metallics. Use the Globe Punch to create your own bulb covers from our Vellum Paper Pad, or use paper from your craft stash. 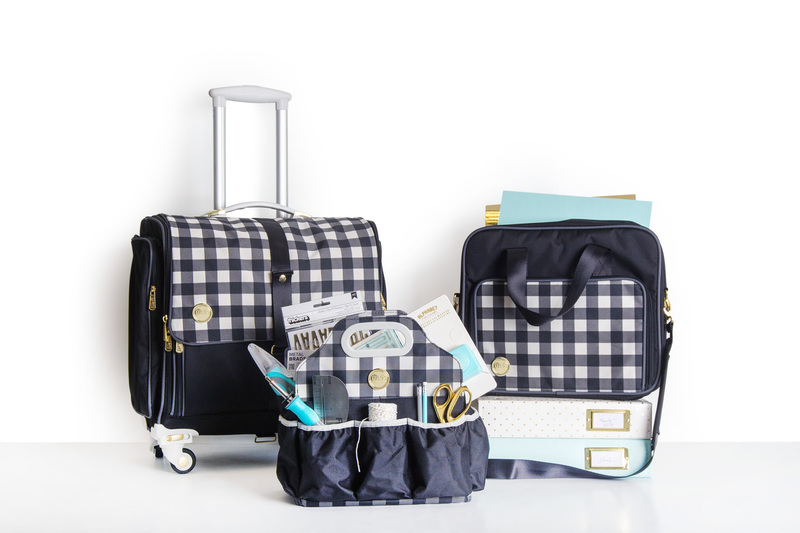 Update your on-the-go craft storage with our new Crafter’s Bag colors and designs. 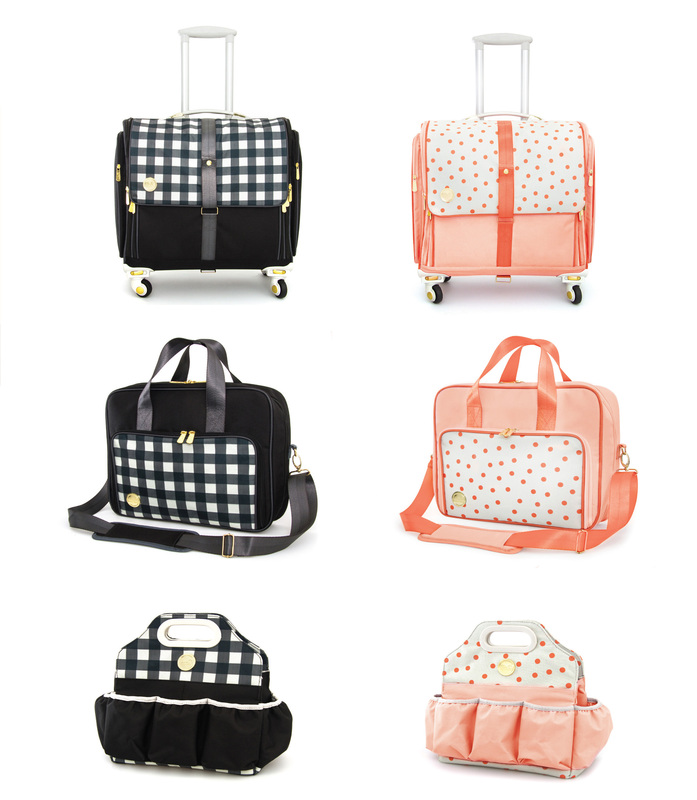 Choose from Black Plaid or Blush Dot. Both of these lovely new designs come in Fold Up Bags, Shoulder Bags, and Totes. 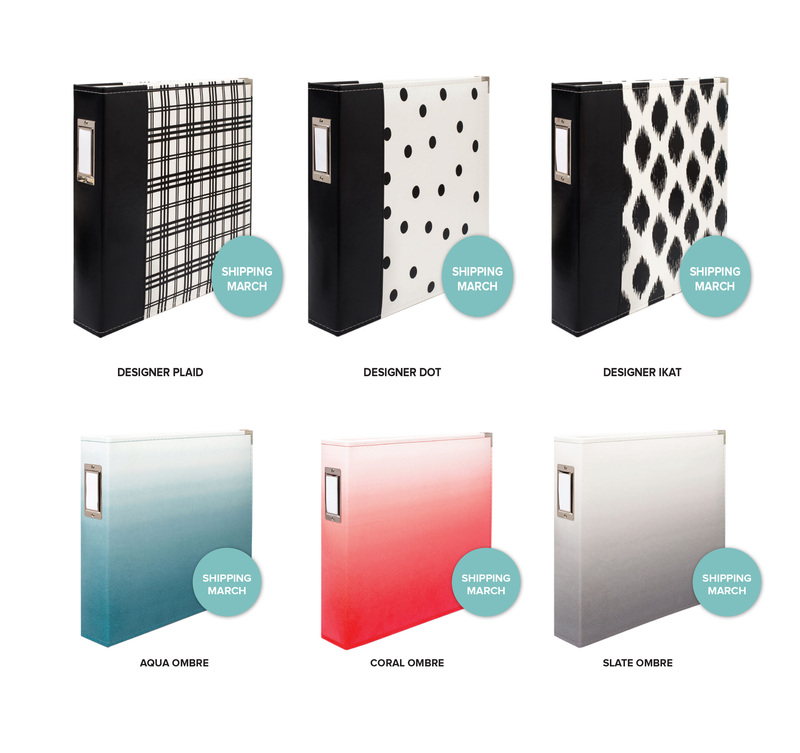 Preserve your memories in these trendy new 12×12 Designer Albums. You’ll love our black and white designs in Plaid, Dot, and Ikat, or chose one of our colorful Ombre designs. Enjoy the same quality and features as our other D-ring albums. There you have it friends. Start making your shopping lists now! Which of these fun new releases are you most excited about? 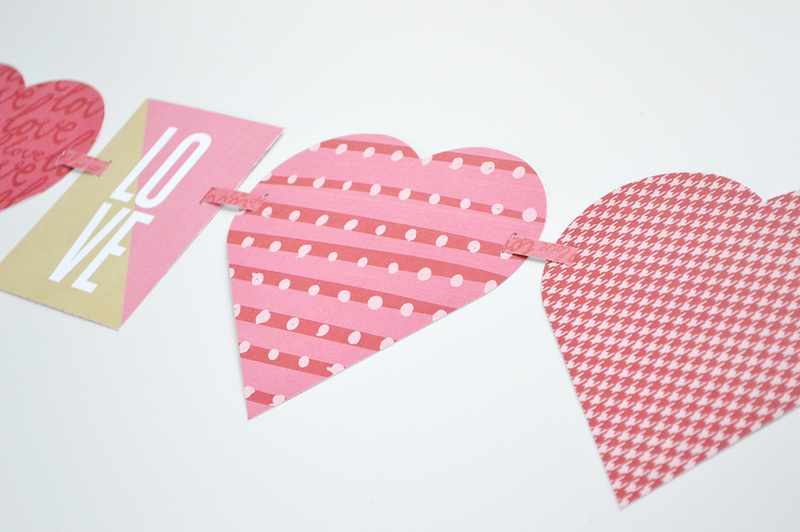 We hope you’ve enjoyed Washi Tape Week here on the blog. 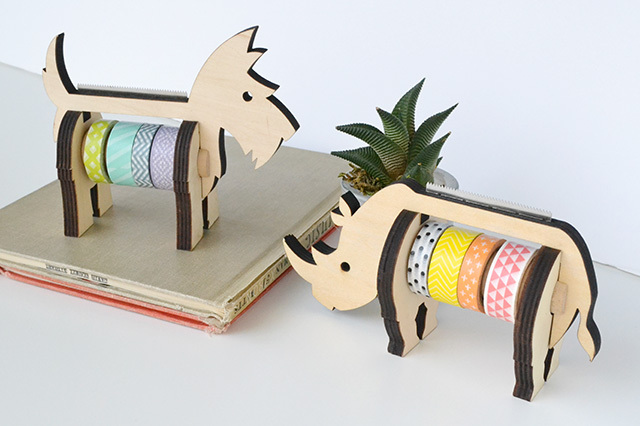 It’s been fun sharing projects our team has created using our new Animal Washi Tape Dispensers. Aren’t they just the cutest things? Tessa’s up today to close out our week. Check out her gorgeous layout below! 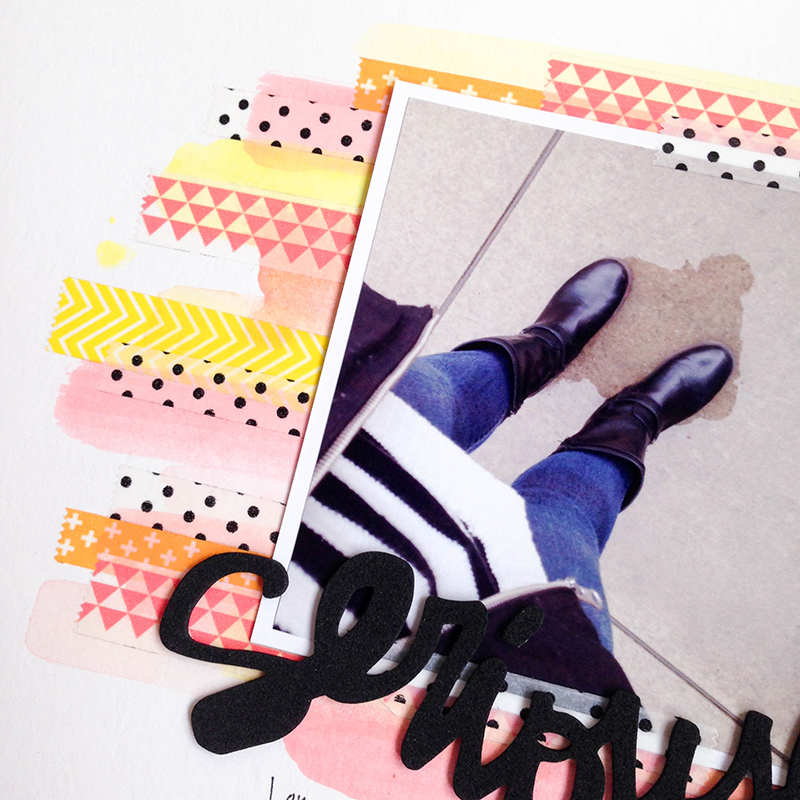 Begin with a white piece of cardstock, a few washi tapes, and watercolors to match. 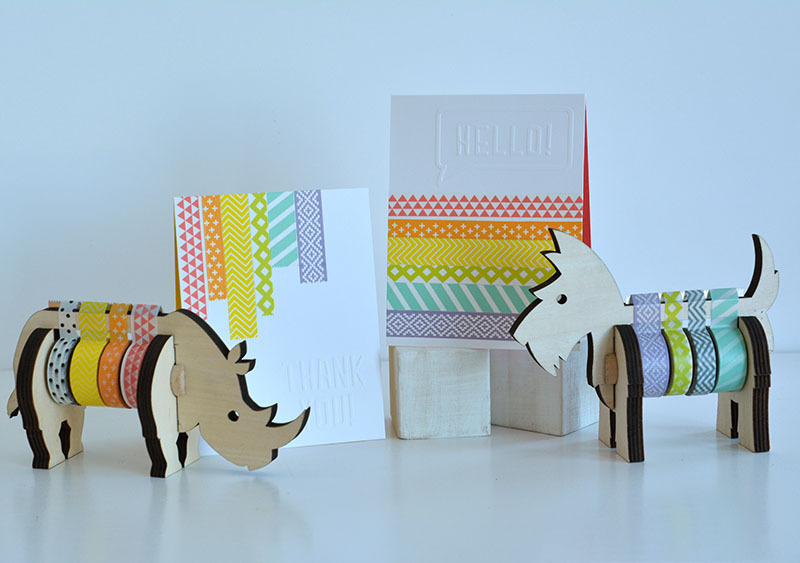 This cute rhino has made himself at home on my scrap desk and I couldn’t be happier about it! Start by painting long strokes of watercolor across the cardstock. How much you overlap your colors or allow them to run into each other is completely up to you. Drip a few drops of color on your page, too. 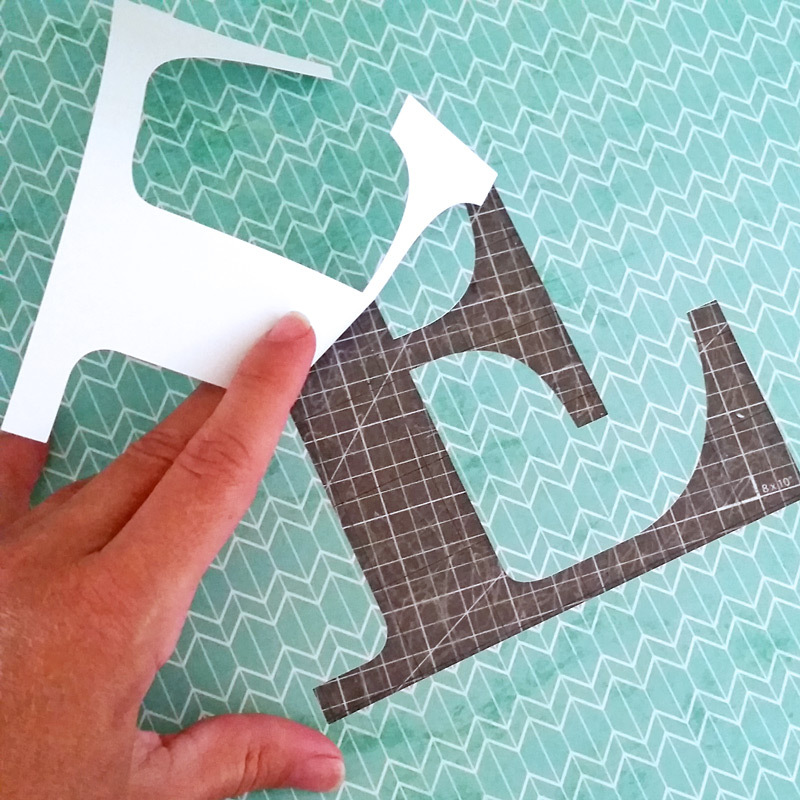 The next step is really important – allow your cardstock to dry. When my paper was just barely damp, I ran it through my Heidi Swapp Minc machine. The cardstock flattened out quite a bit and it finished drying. 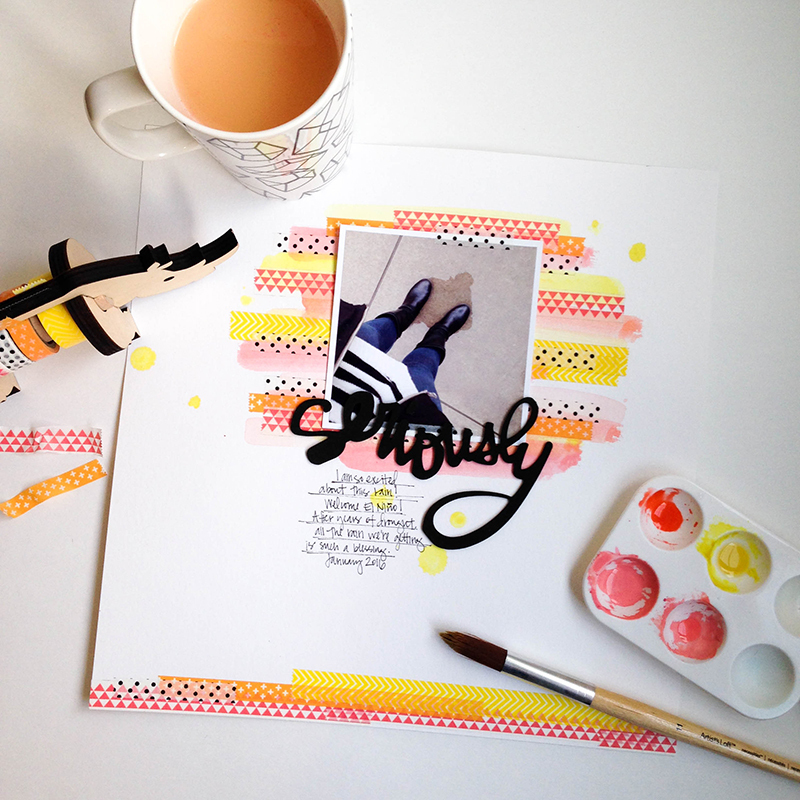 Next, layer pieces of washi tape across your watercolor stripes. Washi tapes with a white base (like the pink triangle washi tape) will allow more of the watercolor to show through. Don’t be afraid of overlapping pieces of the same tape. 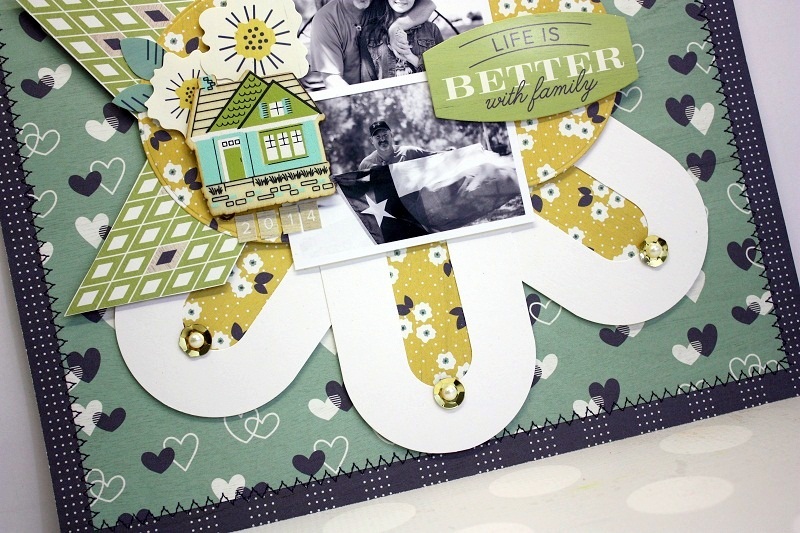 Add more washi tape to the bottom of your layout to create a border. Finish your page with photos, a title and journaling. 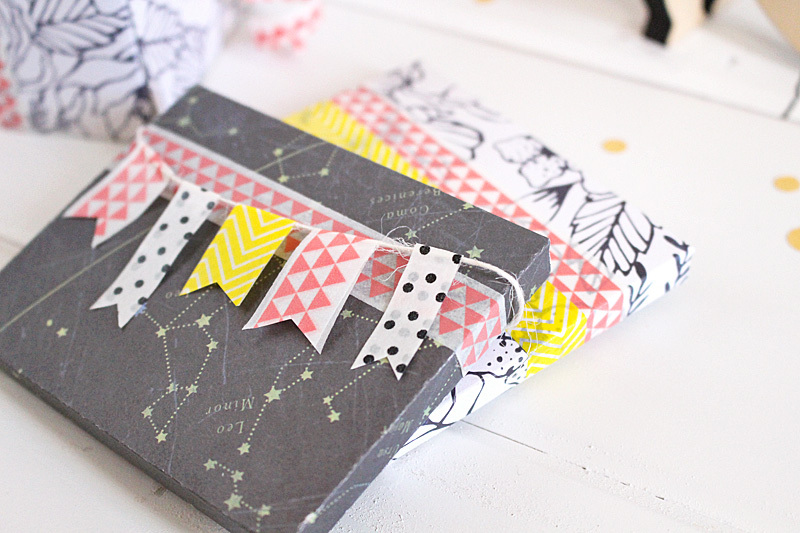 Keep it simple and let the washi tape shine, or add embellishments. 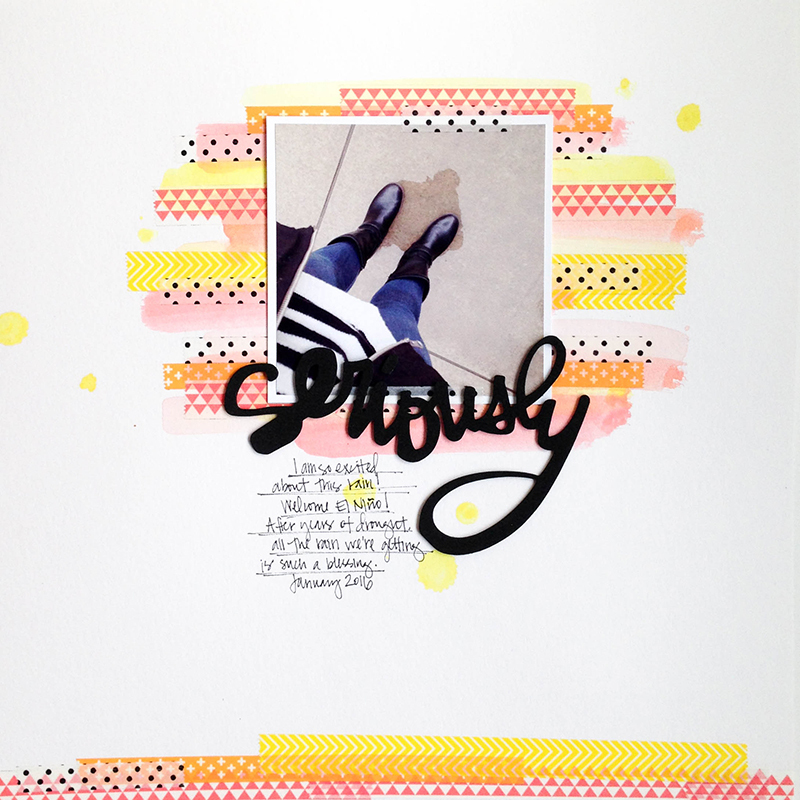 Even if you aren’t a mixed media-type scrapbooker, you really can’t go wrong with this easy technique. Washi tape and watercolors really can be friends! Enjoy creating. Hello there We R fans, Kimberly Crawford here. Washi tape is one supply I can never have enough of! It’s easy to use, versatile, and comes in a rainbow of colors and patterns. 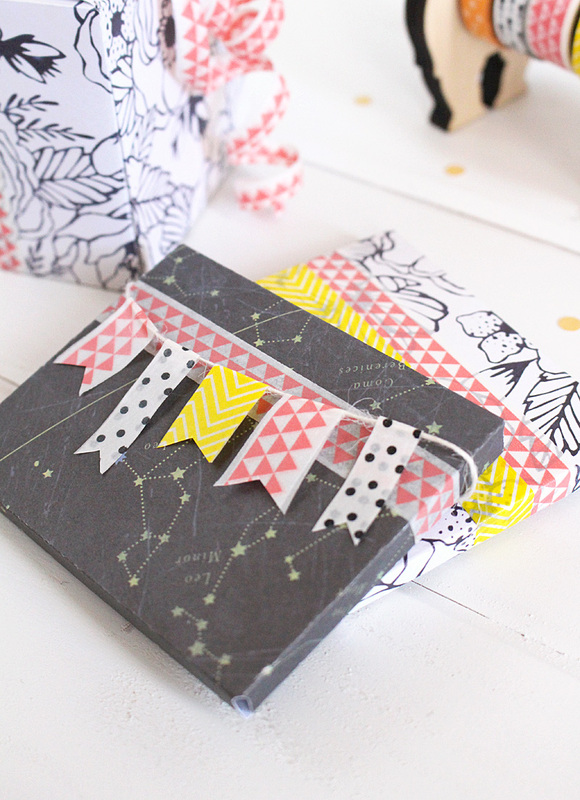 Coming up with more ways to use washi tape is fantastic, and enables me to add more tape to my growing collection! 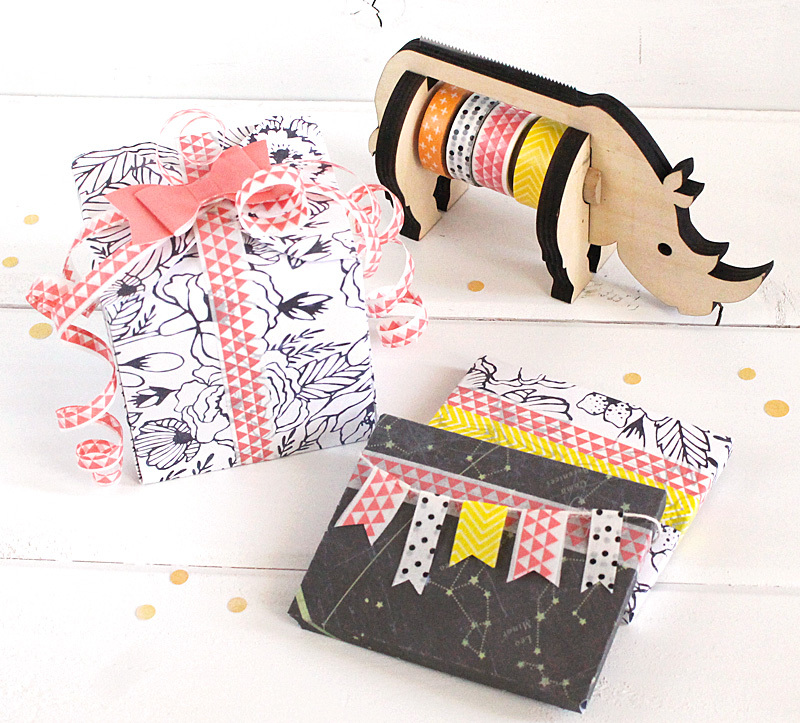 Here are a couple of great ways to use washi tape to wrap gifts! Using my 1-2-3 Punch Board and a floral paper from the Wildflower collection, I created a small box. 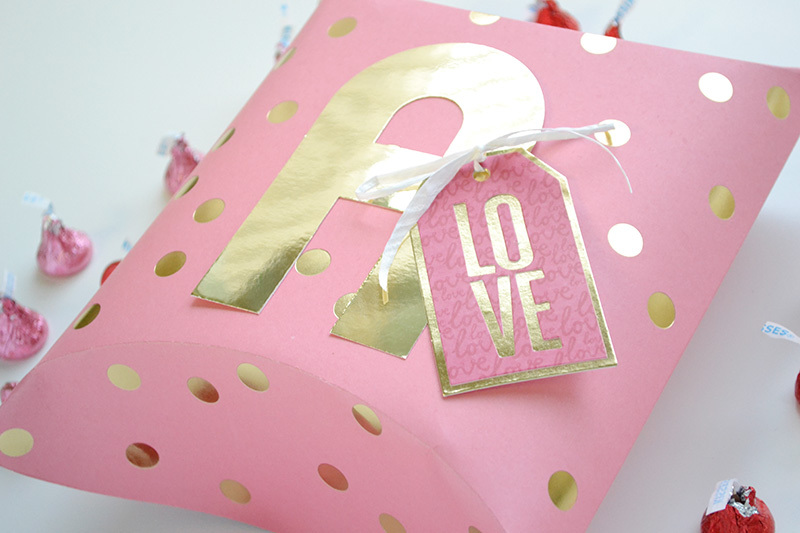 To decorate the box, I used washi tape like ribbon by wrapping it around the box. Then I turned the washi tape into curly-q’s! 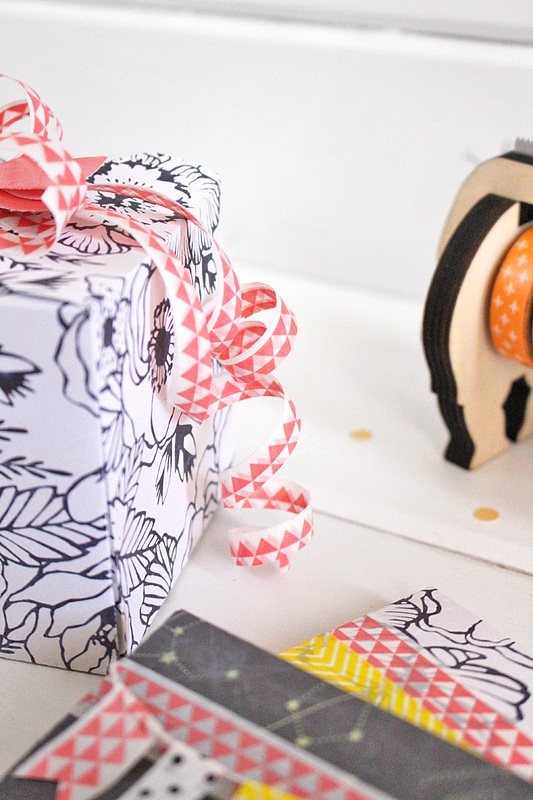 I love the look of curling ribbon on packages and wondered if washi tape could create the same look. It can! Taking a length of washi tape, I folded it in half. To make it thinner, I cut it in half, length-wise. Each piece of washi tape was wrapped around the end of a paintbrush. You could use a pencil for thicker spirals, or a toothpick for very tiny spirals. Holding the washi in place for a moment is all it takes. I cut several different lengths of washi tape and adhered the ends to the top of the box. I topped the pretty package off with an adorable pink Pleather Bow. Using the 1-2-3 Punch Board and more of the same papers, I created two envelopes, perfect for holding gift cards. Around one envelope I wrapped two colors of washi tape. Around the second envelope, I added a band of washi, but also a washi tape banner. Small pieces of washi tape were folded over a piece of twine. Once they were in place, I notched the bottoms with a pair of scissors. The banner tied easily around the envelope. 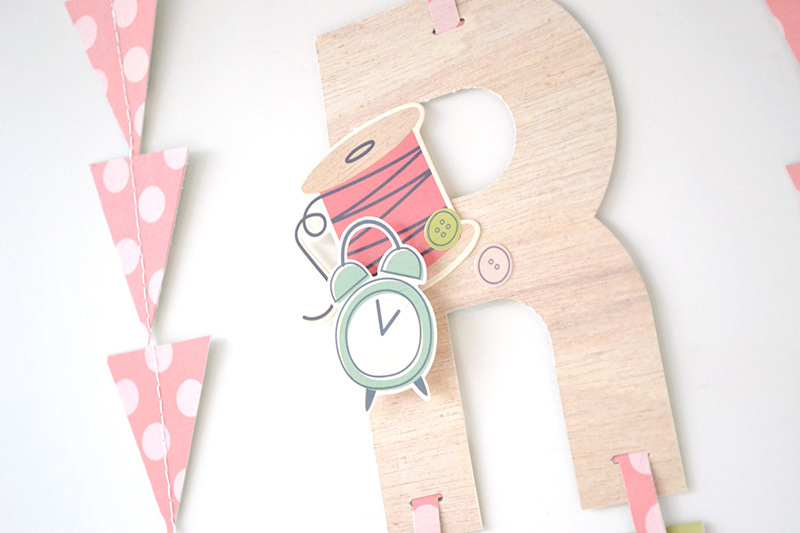 Did you happen to notice the fantastic washi tape dispenser in the background? If you think he’s cute, make sure and see the Scottie Dog version! 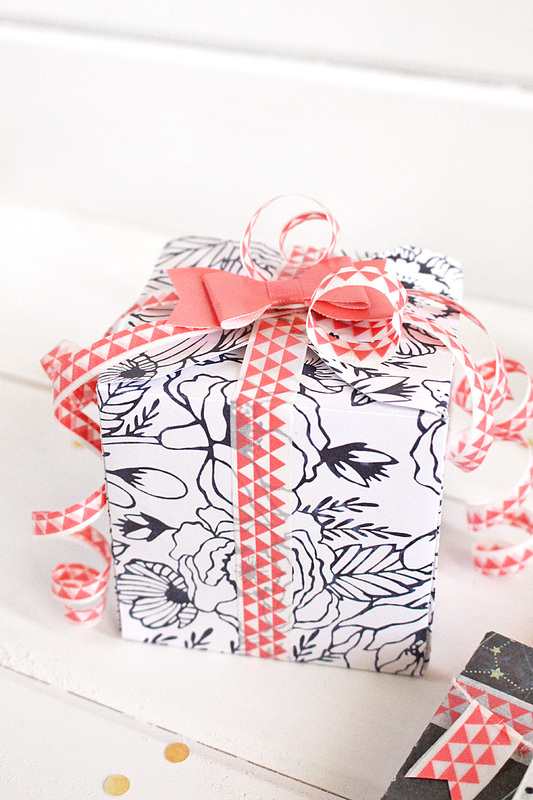 Have you used washi tape to wrap a gift? Hi there! Chantalle with you again and today I’d like to share an idea for some easy wall art for your home, using the new Animal Washi Tape dispensers. The Scotty Dog and Rhino shapes are not only wonderful fun for your workspace, the clever serrated edge makes tearing off a bit of tape a breeze. To compliment the bright colours and fun patterns of the tapes, I’ve chosen to work with some gorgeous FUSEable paper in coordinating shades. I’ve chosen some simple patterns to really let the washi shine. To start, I’ve set some large letters (initials of my children) in Silhouette Studio. I wanted the washi to show through from behind the paper, so I then traced the cut letter shape with a pencil onto some plain white cardstock, adding alternating strips of washi tape to cover the shape. I did two letters, an E for my Daughter and a J for my Son. These were now ready for me to add my FUSEable paper over the top. For an extra bit of detail, I chose to add a little bit of pink FUSEable ruffle strip to my Daughter’s one. I love that it is cleverly pre-marked so you know exactly where to fold it! NOTE: The FUSEable papers and embellishments feel slightly different to fusing a sleeve, as you can allow an extra second or so to melt the plastic. Take your time when rolling across the media, especially with the ruffle strips which are a bit thicker once folded. 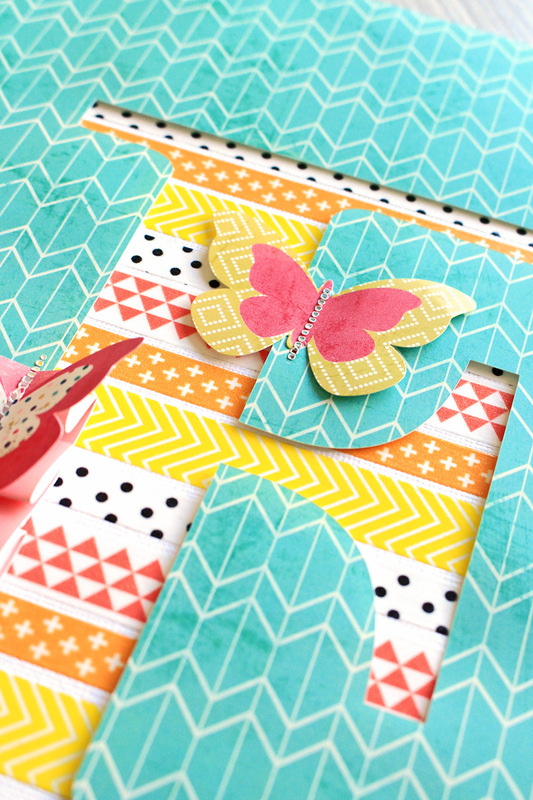 A closer look at that gorgeous washi with a couple of FUSEable butterflies. Here’s how my Son’s one turned out. I adore that cute pup! Both of the 12×12 papers have been raised on some foam tape so the different prints don’t blend in together too much. I’ve displayed each monogram picture inside an Organization Gallery box frame and they look great on the walls in their rooms! Thanks so much for stopping by today. 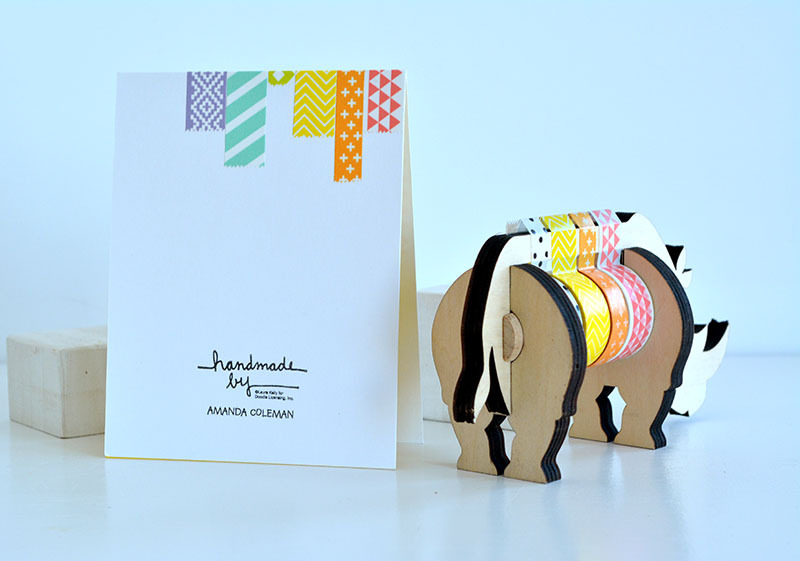 Wishing you lots of fun with your Animal Washi Tape Dispenser! Happy Tuesday, WRMK fans! Amanda here today. 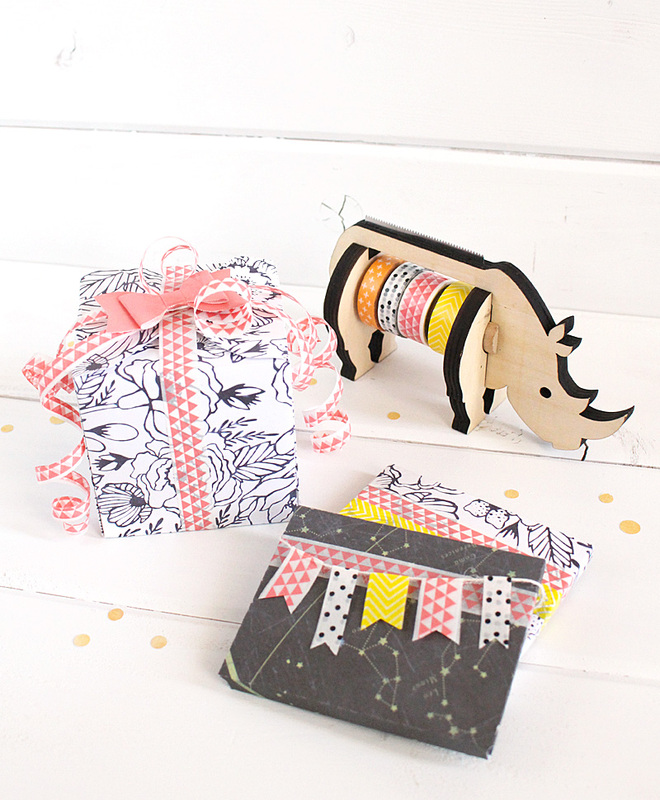 I am head over heels about the Scottie dog and rhino shaped washi tape dispensers from WRMK. They are by far the cutest accessory I have in my craft room. Do you ever need to make cute cards in a snap? 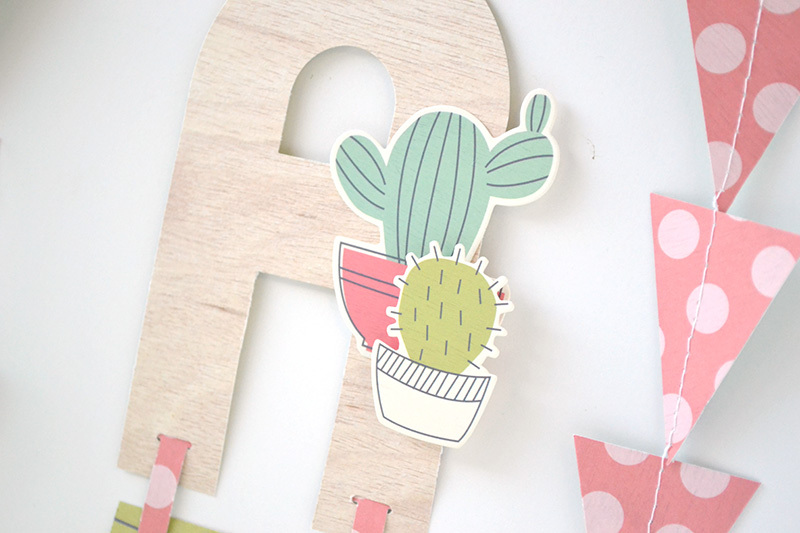 Washi tape is your answer. 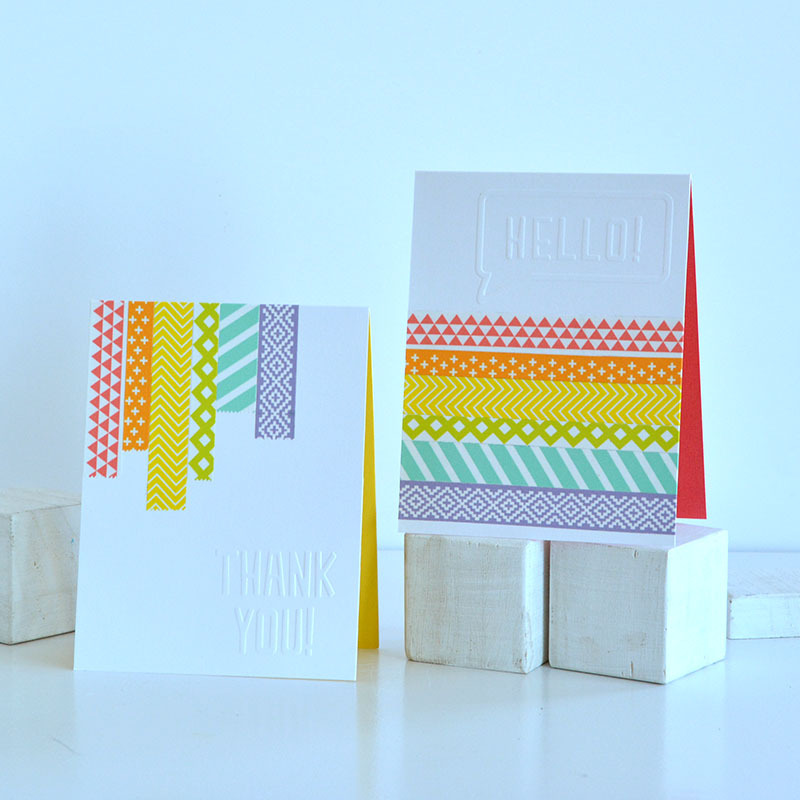 A few strips of washi tape placed strategically on a card really packs a punch. 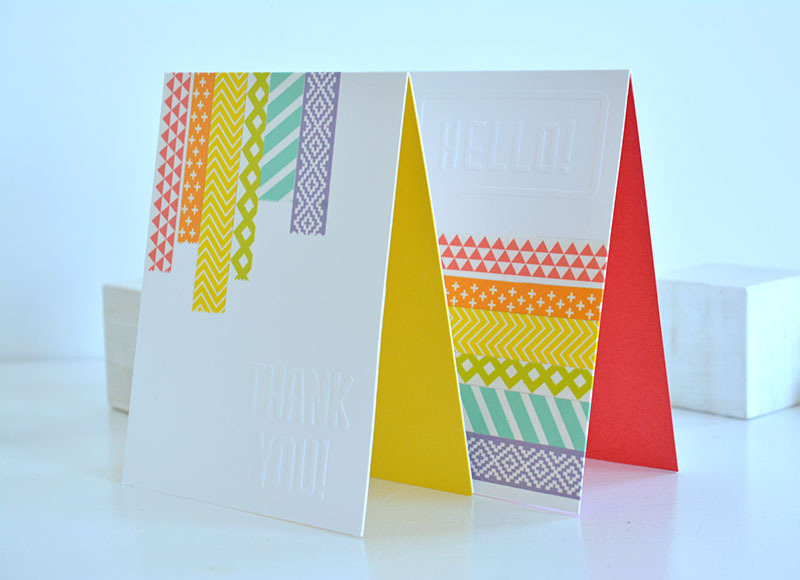 Layer colorful strips of washi tape at the top or bottom, keep the strips straight or put them at an angle. 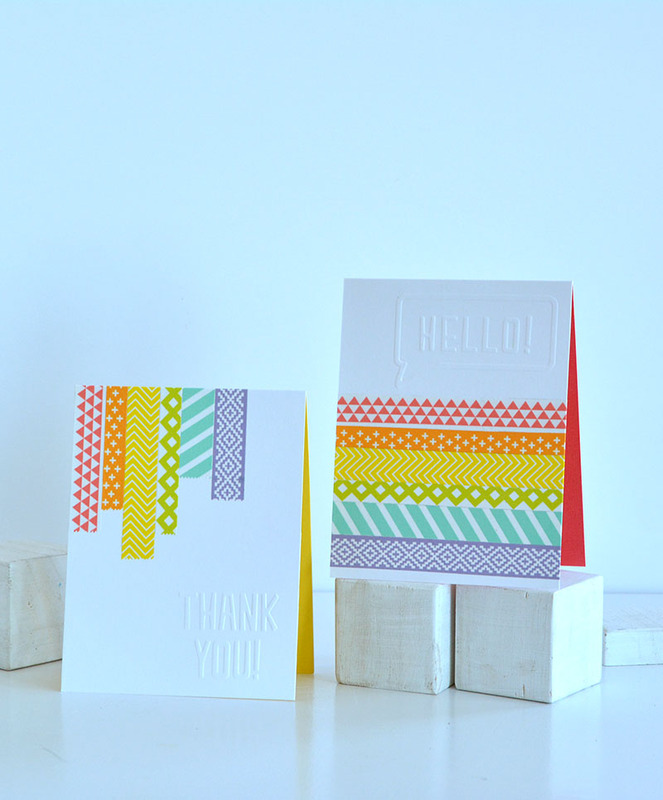 The versatility of washi tape on a blank card base is endless. Cute, right? The washi tape dispensers are so cute I can hardly stand it. And all of the cuteness is super functional, too. Each dispenser comes with four rolls of washi tape. Between the two dispensers, you will have all of the colors of the rainbow and some fun, coordinating neutrals. 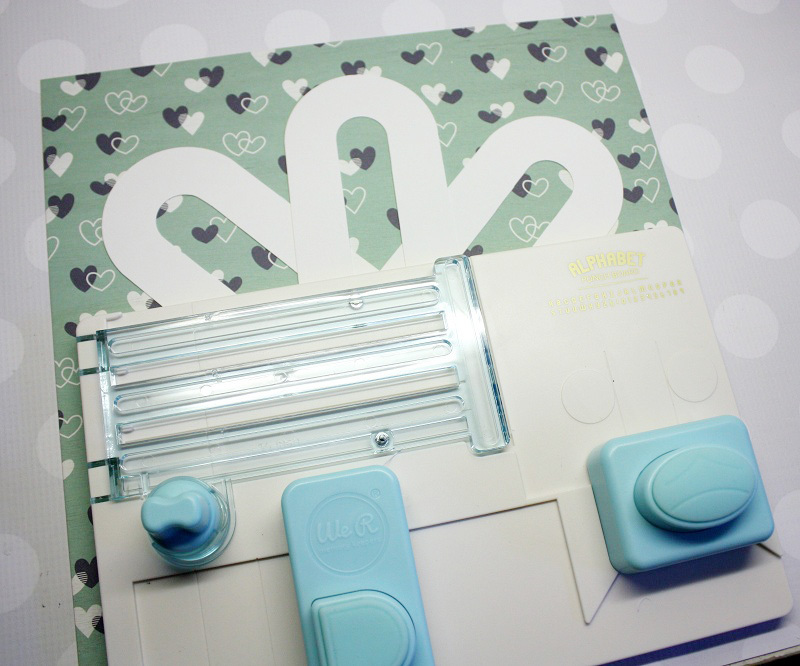 They are also easy to assemble and disassemble so you can rotate your washi tape as needed. 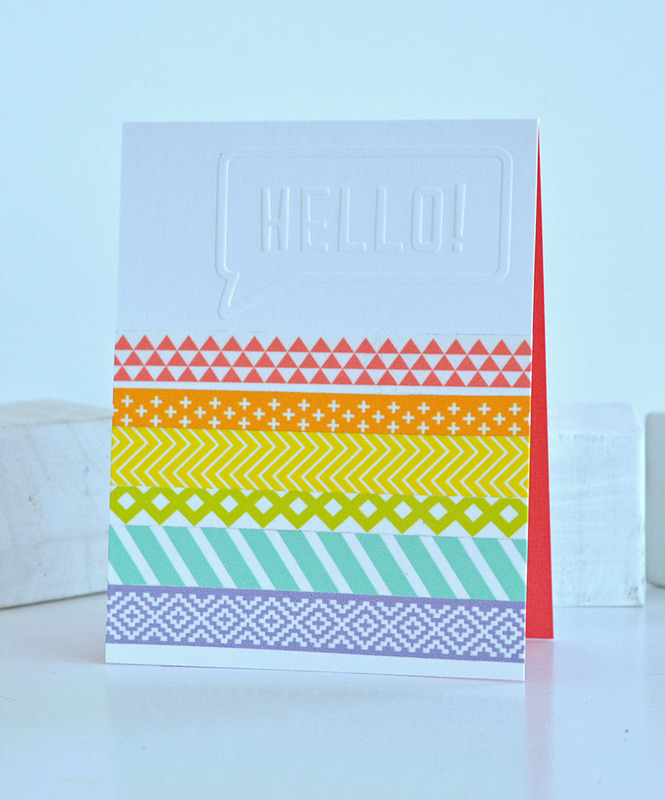 Classic rainbow stripes are always on trend and are perfect for any type of card. 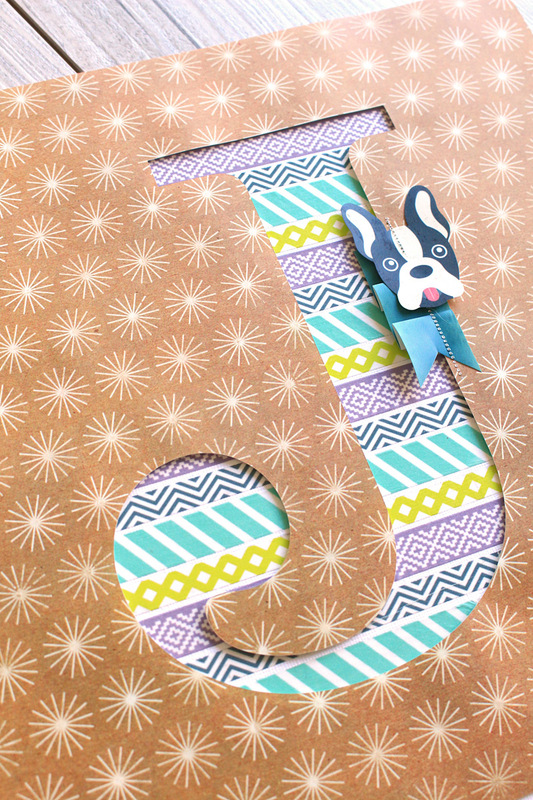 The variety of widths and prints on the washi tape adds variety and interest to the card, too. The individual sentiments from the Next Level embossing folder collection are versatile and easy to use. Each sentiment embossing folder has lines printed on the outside so you can line up your card perfectly before you run it through your embossing machine. 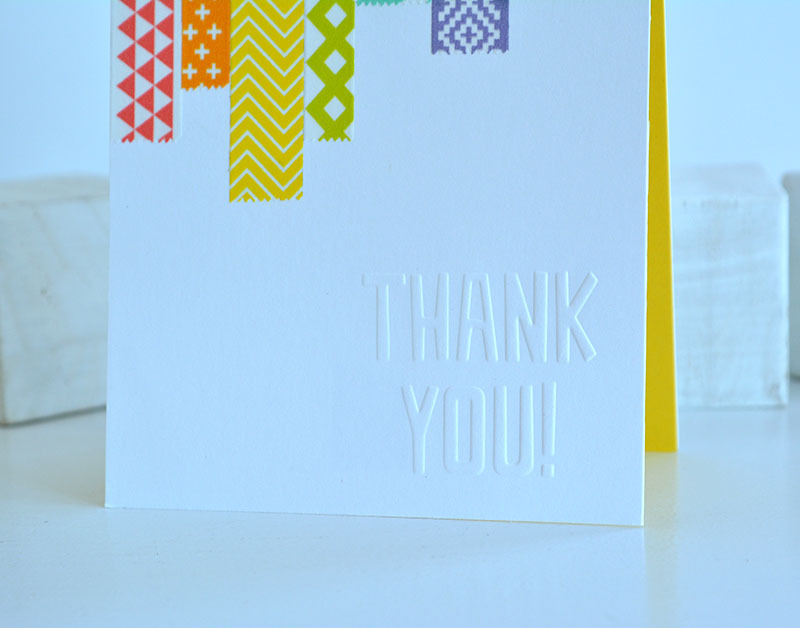 Add some punch to your white card bases by adhering color coordinated cardstock to the inside of the card. 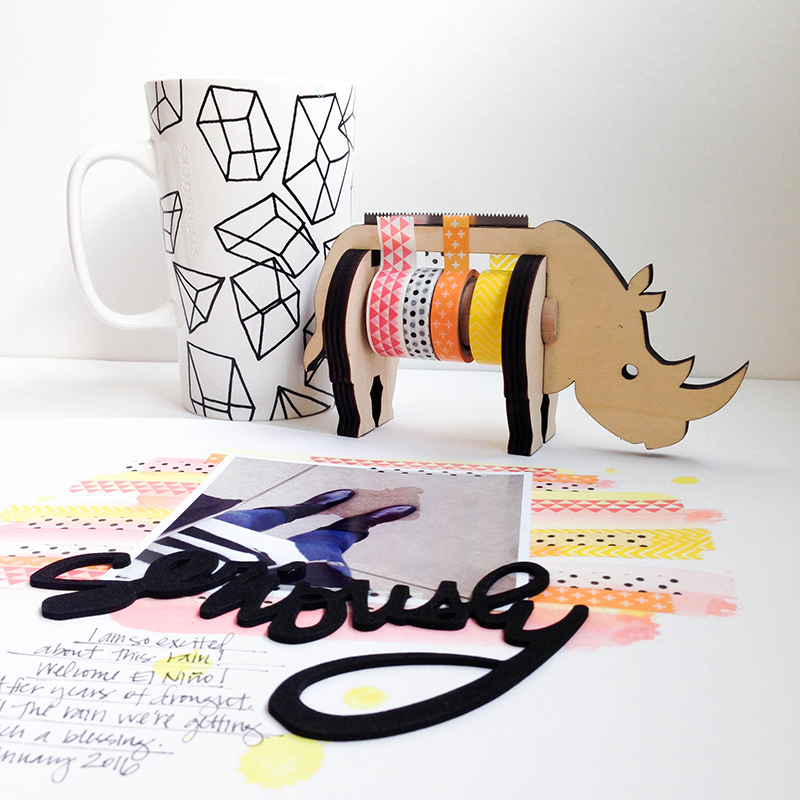 Happy Monday friends, and welcome to Washi Tape Week here on the blog! 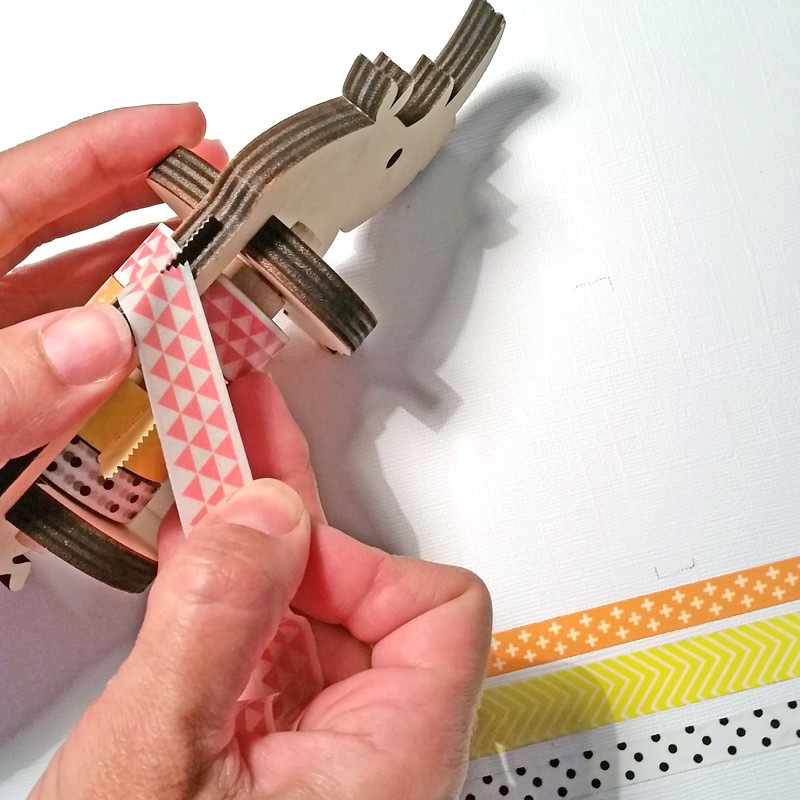 Washi tape is one of our favorite craft supplies, and we’re so excited about our new Animal Washi Tape Dispensers that we wanted to share some washi inspiration with you. Check out what design team member Wendy did with her washi tape today, and be sure to come back each day this week to see some more fabulous washi tape project ideas from our design team. Hello there We R fans, Wendy Antenucci here today. I couldn’t wait for a chance to play with my new Scottie Dog Washi tape dispenser and all of its pretty colors. I was really impressed with how well the cutting part worked; it wasn’t a struggle at all to get a nice clean cut. 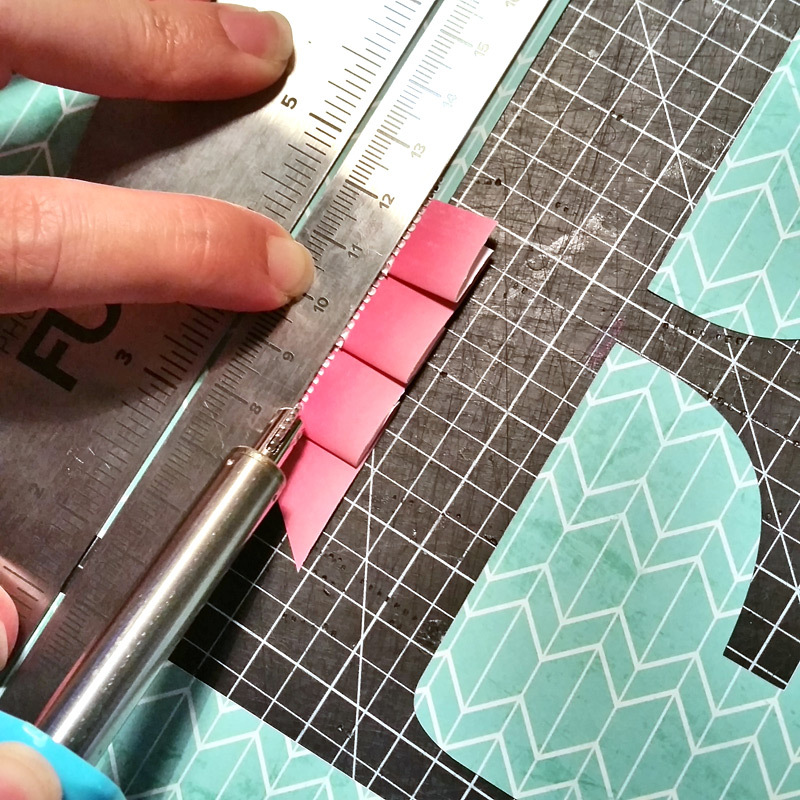 To highlight my Washi tape, I placed strips on some white card stock and then I pulled out one of my Gem Cutting Dies to make an eye catching gem that matched the color of my layout. I also love using Washi tape on the borders of my layouts, it provides the “frame” that I like to use on my pages, but with it being transparent it doesn’t take away from my design. 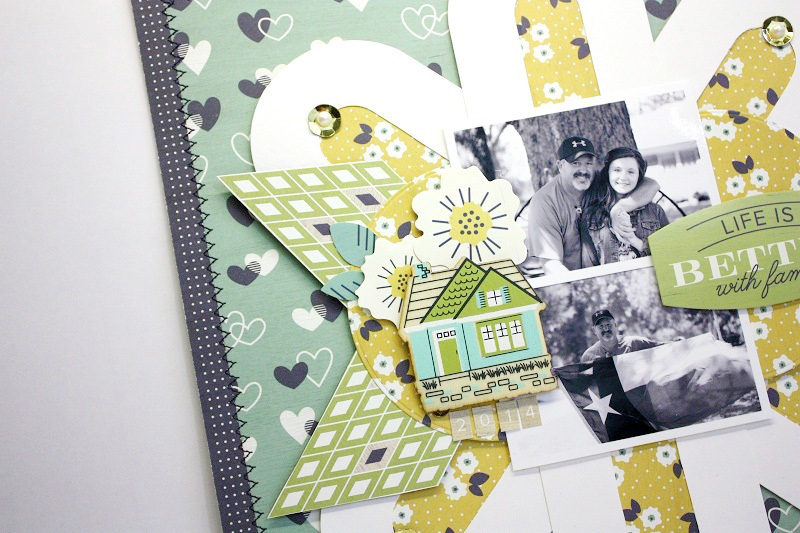 I love to make clusters of pretty items on my pages to highlight my “photo blocks”. I like to use different layers achieved through stickers, die cuts, chipboard, and wood veneers. A few sprinkles of sequins on this page and some circular items help to pull your eyes from the top of my page to the bottom. Designer tip: Washi tape can go a long way in dressing up dies, they can make the outline, or you can use the tape to fill in the blank spaces. 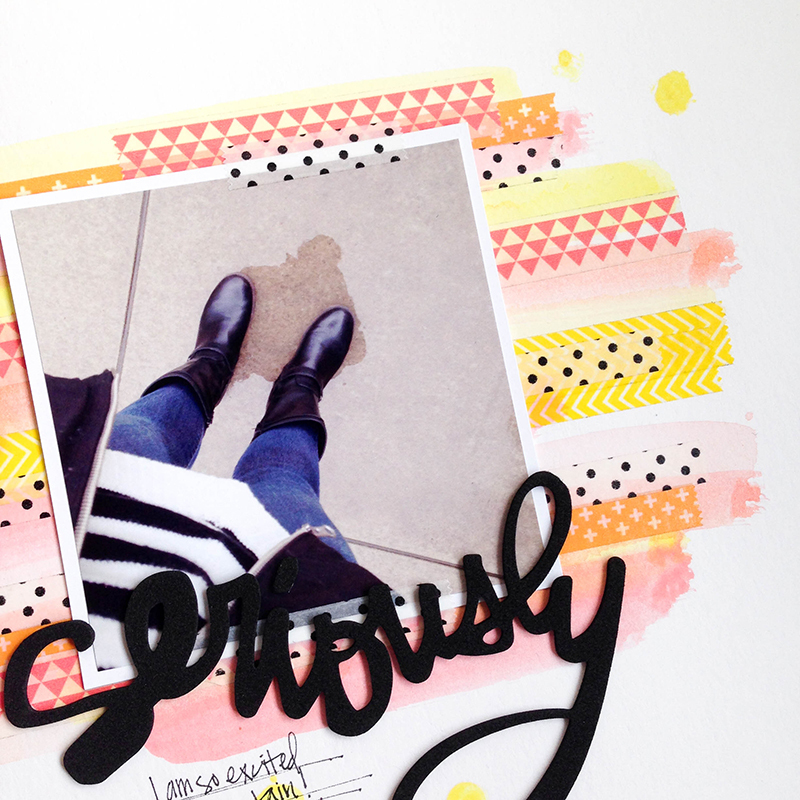 By using white cardstock, the Washi Tape really was able to stand out on my layout adding emphasis to my title. 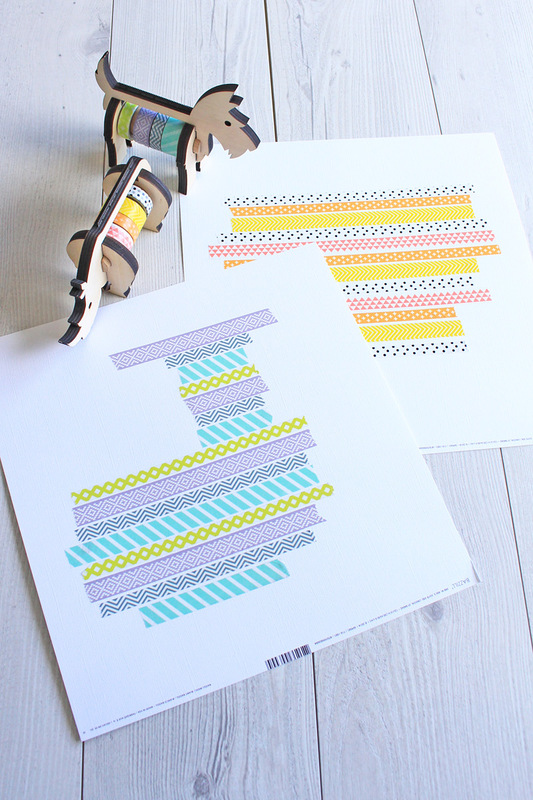 How do you like to use Washi tape? I’d love to hear some of your ideas because I am always looking for new ways to use my many rolls of Washi. 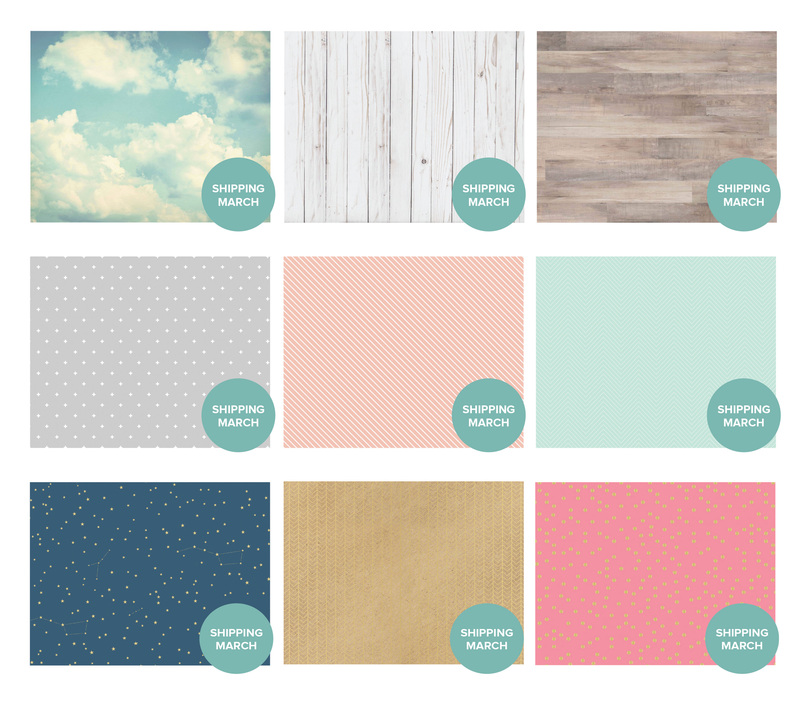 Make sure you share you Washi inspired pages to our FB page! This would be an awesome tool to have. I would use it for banners, to create signs for stalls to sell my handmade goodies, for monograms for albums. This list goes on. Thanks for the chance to win! Congratulations Kerry! Please send an email to alydosdall@gmail.com with “Alphabet Punch Board Winner” in the subject line. Please include your name and shipping address in your email. 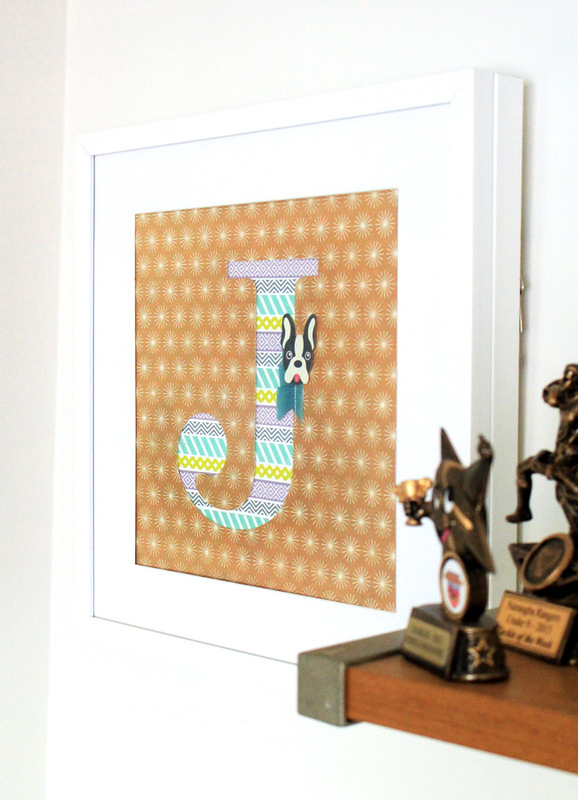 Now, on to our final Alphabet Punch Board projects for this week. 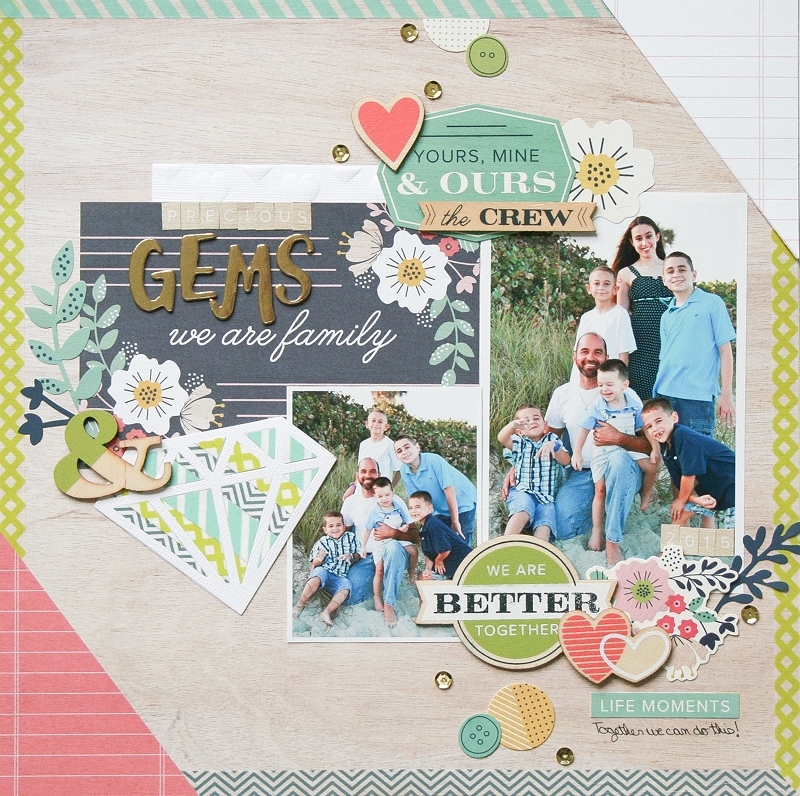 The Alphabet Punch Board and Template Studio are a match made in heaven! 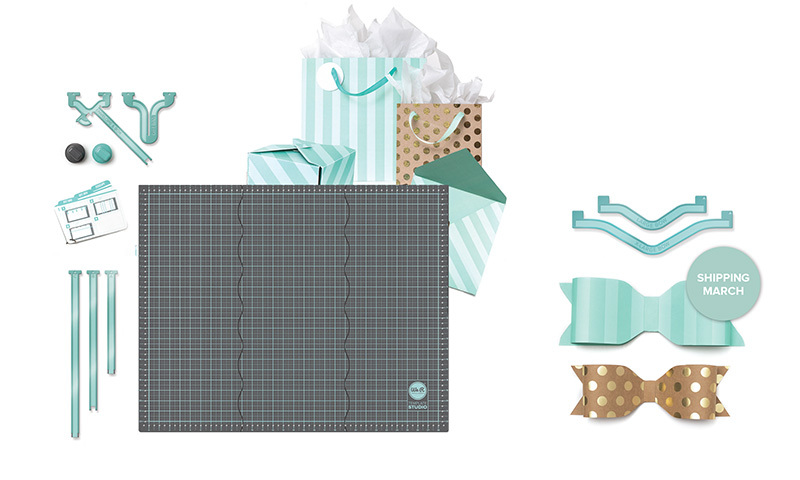 Large scale DIY gift wrap made with the Template Studio is the perfect place to add a personalized monogram tag made with the Alphabet Punch Board! Here at We R Memory Keepers versatility is a priority, and we love to find multiple uses for craft tools. 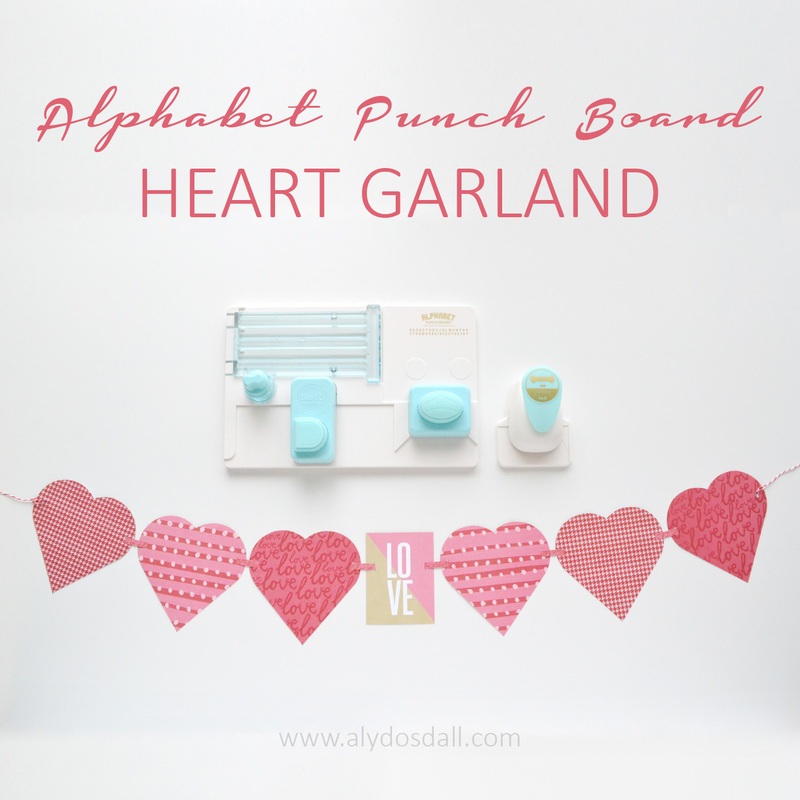 Did you know that you can make hearts with the Alphabet Punch Board? 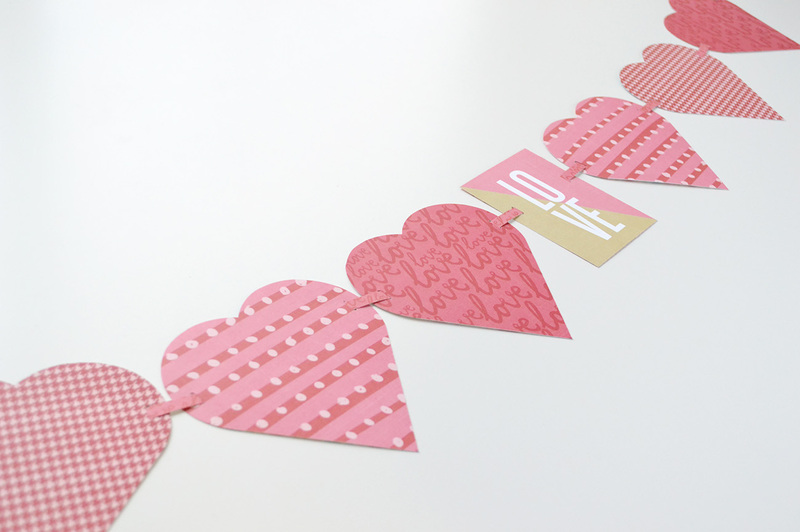 Check out how blog hostess Aly Dosdall used it to make this easy heart garland. For more photos, details, and full instructions for this project, visit Aly’s blog HERE. 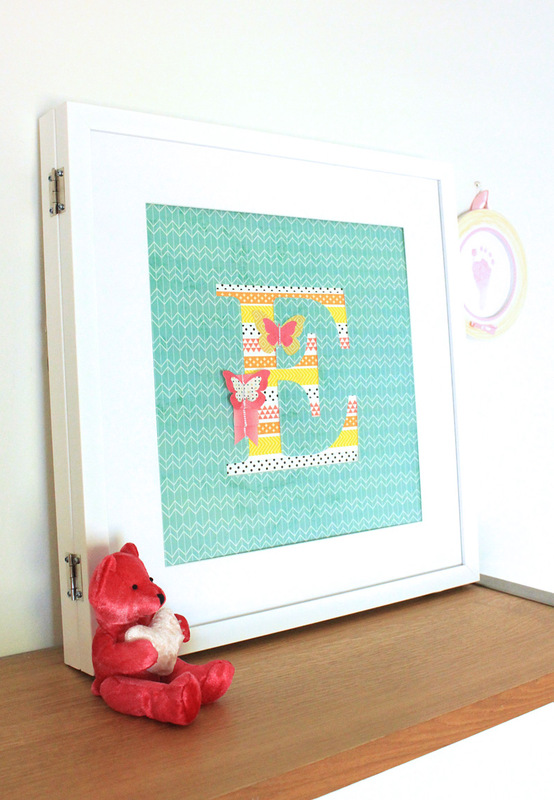 We hope you’ve enjoyed Alphabet Punch Board Week! We’ve sure enjoyed sharing these projects with you. This amazing tool is currently available internationally and in the U.S. exclusively at HSN until Feb 24th when it begins shipping to U.S. retailers. Hello, everyone! 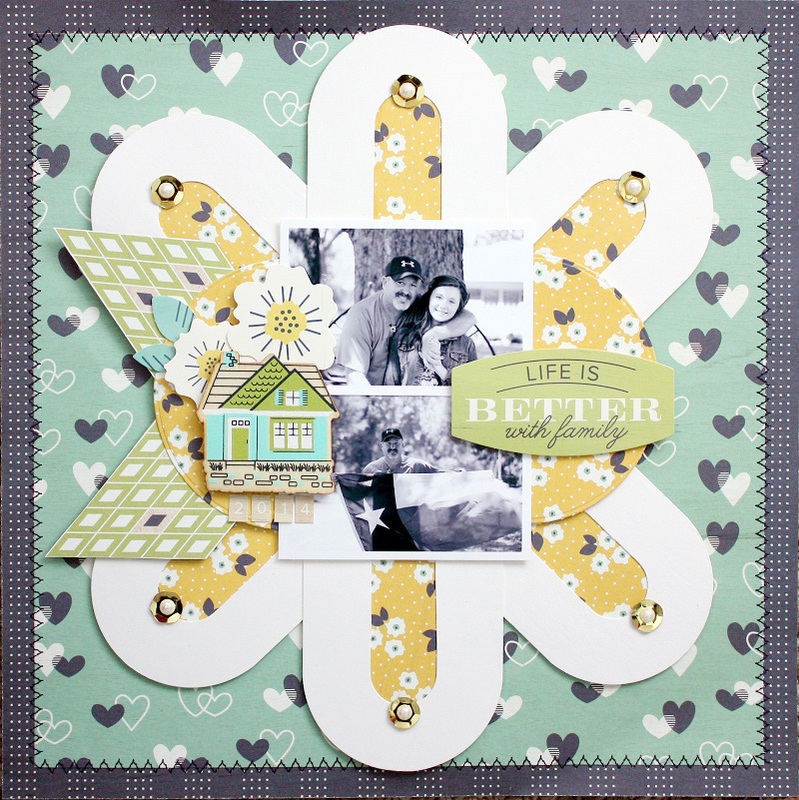 Shellye McDaniel here today with a sweet layout incorporating the new Alphabet Punch Board and Honey, I’m Home Collection. I wanted a substantial background piece, so I chose to create a large flower using the letter “U” and some Marshmallow Cardstock from American Crafts. I trimmed the cardstock into six 3”X5” pieces and followed the instructions for creating the letter “U” six times. Next, I arranged the “U’s” to resemble petals of a flower. Swatches of the yellow floral patterned paper were attached to the inside opening of each petal and then attached to the 12X12 patterned paper. For the center of the ‘flower’, I also cut out a large circle from the same yellow floral paper and cut it in half. The halves were placed around the two small photos. The edges of the petals were embellished with large adhesive gold sequins with pearls from my stash. For the leaves, I simply followed the diamond pattern on the green diamond patterned paper and cut into two leaf shaped. Next, they were adhered them to the left side of the flower. Various embellishments from the collection, such as ephemera die-cuts, stickers and wood veneer pieces were used to complete the layout. Clean and simple! Hello We R fans! 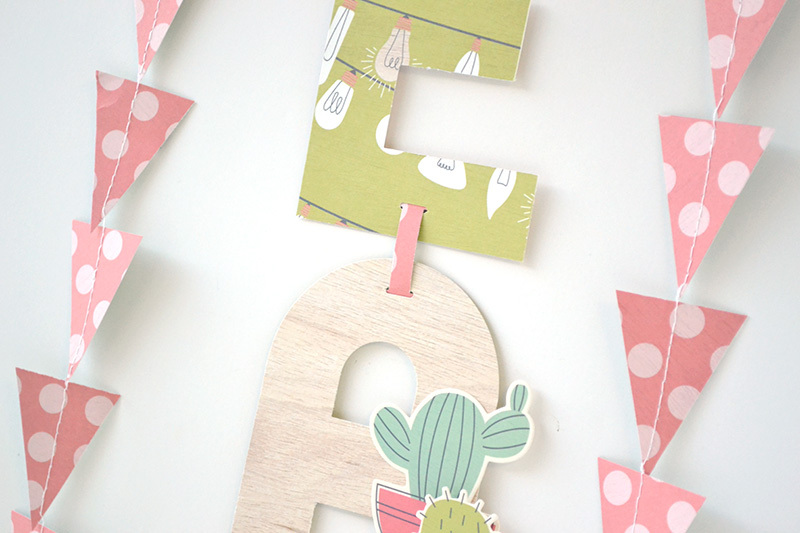 Aly Dosdall here with you today sharing an easy hanging garland I created for my craft space using the fab new Alphabet Punch Board and Link Punch. 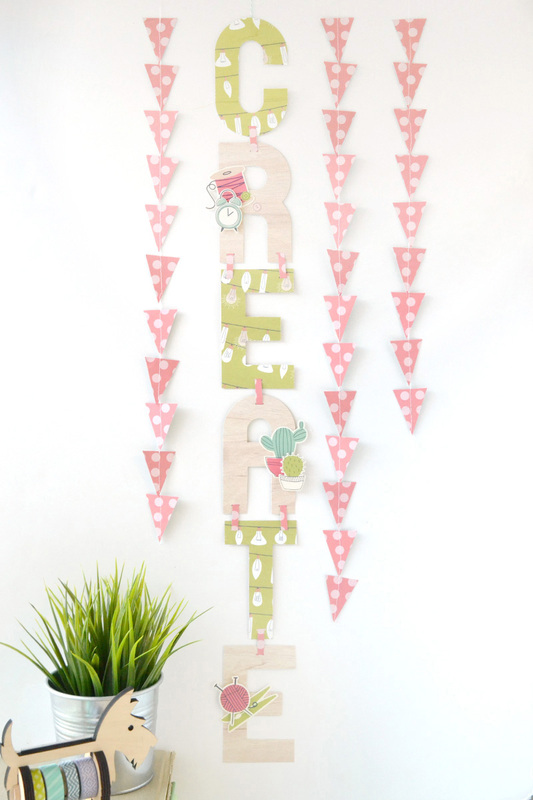 We’ve all seen plenty of horizontal banners and garlands using this tool, but I thought it would be fun to try a vertical or hanging garland. There’s limited wall space in my craft room, so using a vertical option saves on space and is something a bit different than your typical garland. 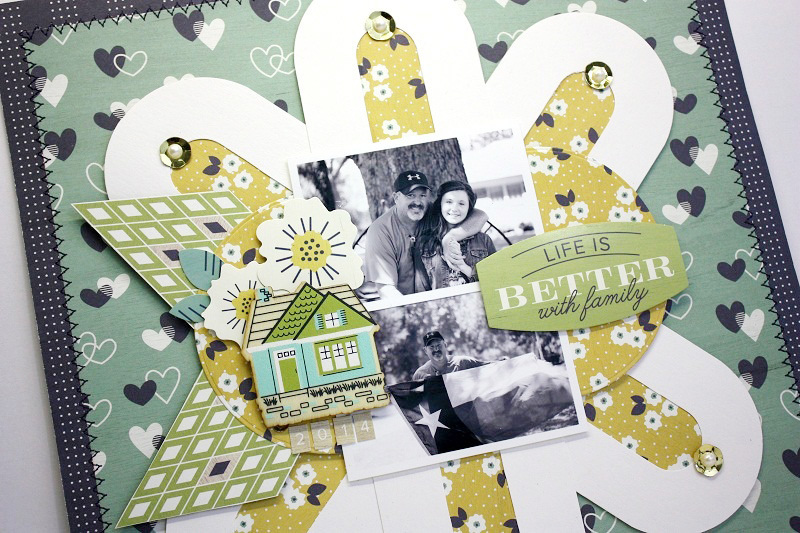 I used papers and ephemera bits from the new Honey I’m Home collection. 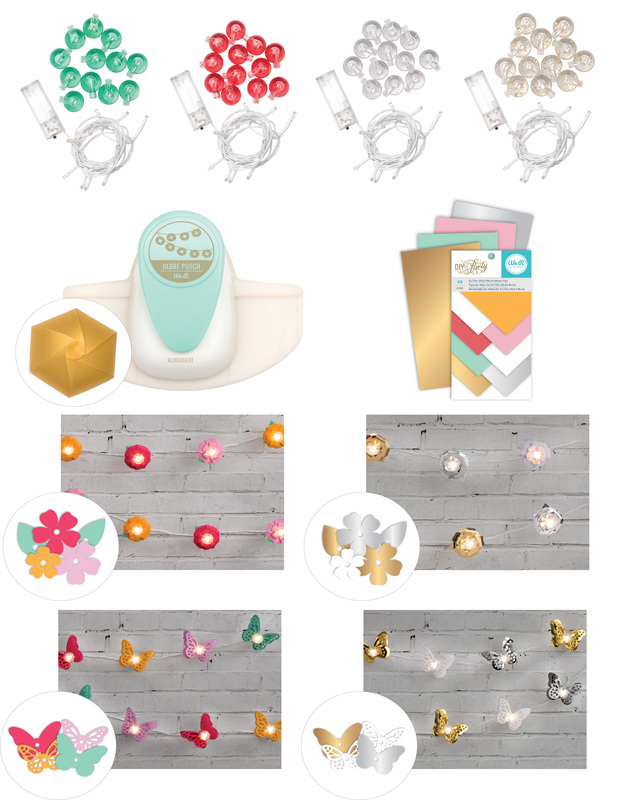 I just love the light bulb garland paper in this collection, and I knew I wanted to use it in some type of decor in my craft space. I love the idea of using the light bulbs together with the word “create”, since creativity is all about sharing and expressing ideas. After punching out my letters by following the easy-to-read instruction booklet, I linked them together vertically using the Link Punch. 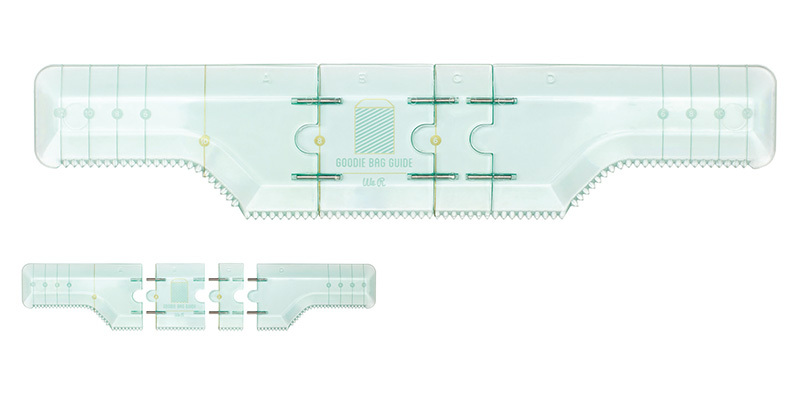 This punch has guides in the base which make it really easy to line up letters of all shapes so you can punch your slits in just the right spot. 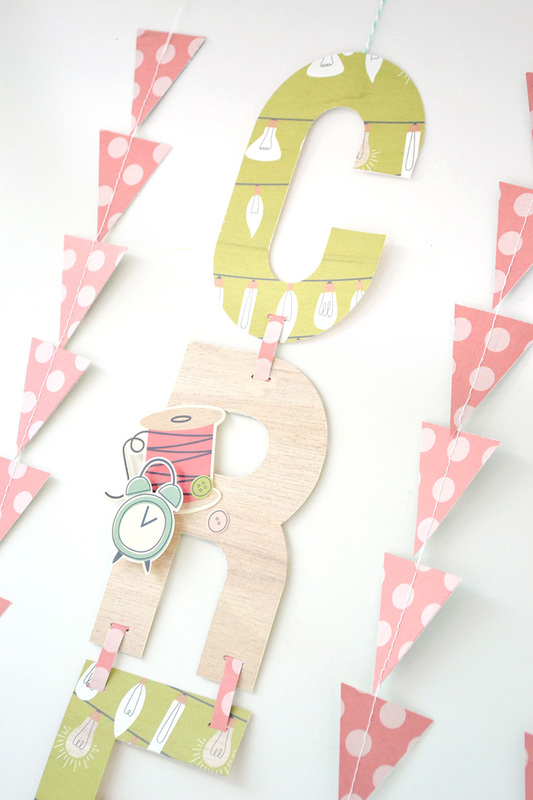 I linked some of the letters once, and some twice depending on their shape so they would hang nice and straight. The letters that show the wood grain pattern side of my paper needed a little something extra, so I added a few pieces of ephemera from the collection to embellish them. 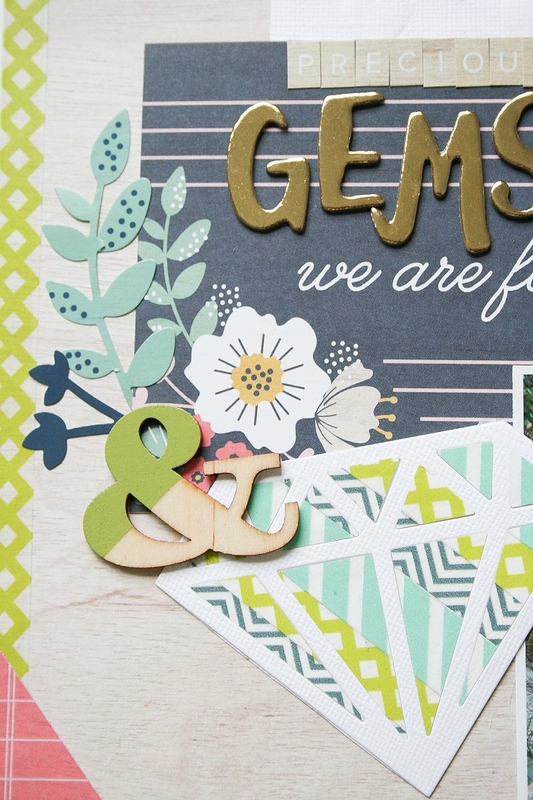 The images in this collection are perfect for a “create” garland–don’t you think? I love all the cooking, sewing, and home decor graphics! 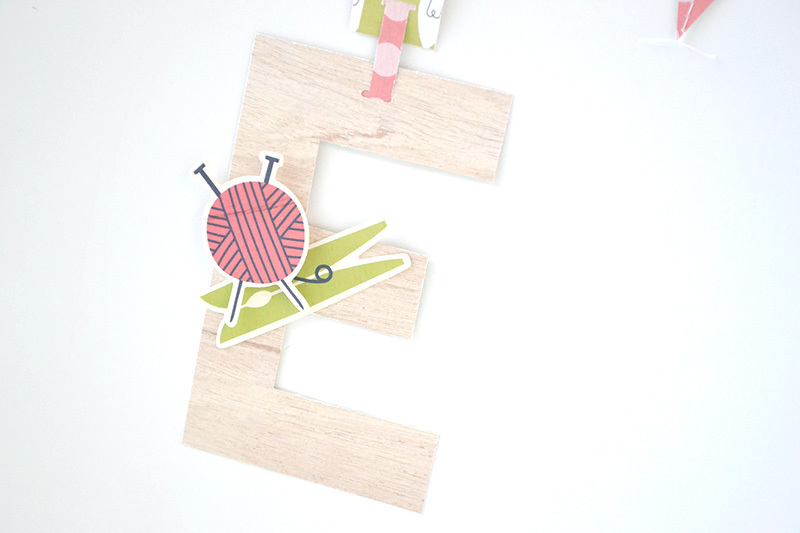 I have to admit I’ve been having so much fun playing around with the Alphabet Punch Board. 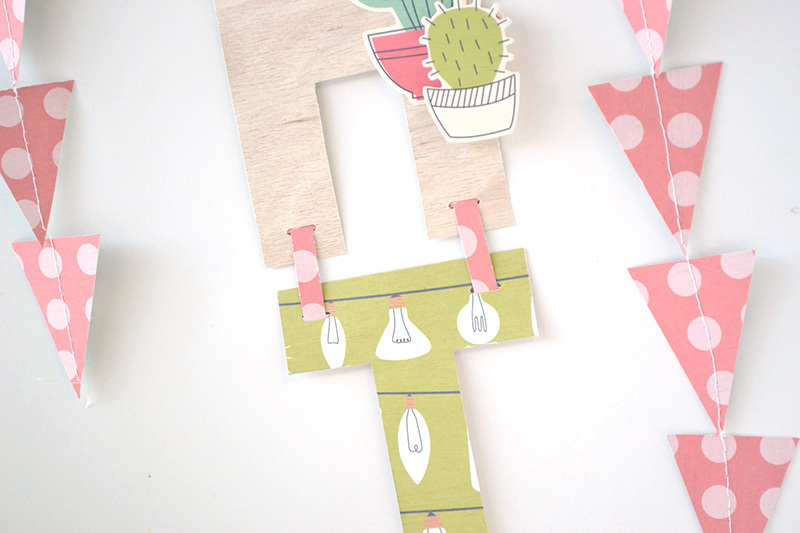 This tool is ideal for so many fun projects! I kind of want to add letters to everything now. 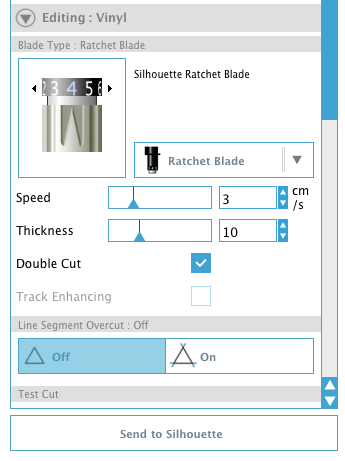 =) How would you use this fabulous new tool?